If you're talking about moving individual parts of the truck, use the tab key to cycle the vertices then press "V" to select the vertex. them go to models/ translate. from there, select "Selected Vertices", and then you can move the parts you've selected without opening the parts separately and then trying to position the models off the truck. Be sure to save the vertex groups so you can use them later if the need arises. 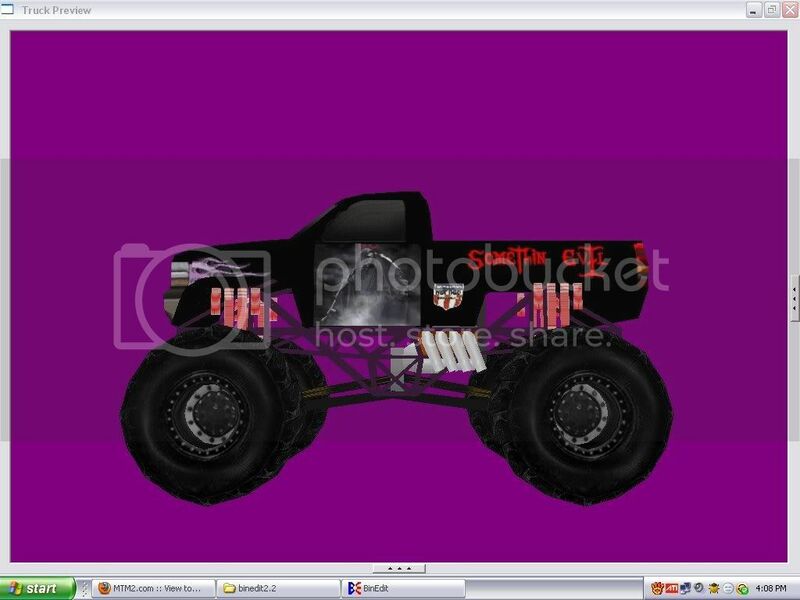 Phineus i hope that you are proud and all i need to do is finish paint then i need help with the shocks connecting to the axles, four link bars, and driveshafts like where do you get those or do they just load up automatically when you make the pod file?? as well as how do i color the four link bars?? For the axles and shocks and things, have a look at the binedit TRK editor, you can set them up pretty quick there... and see what you're doing in real time. 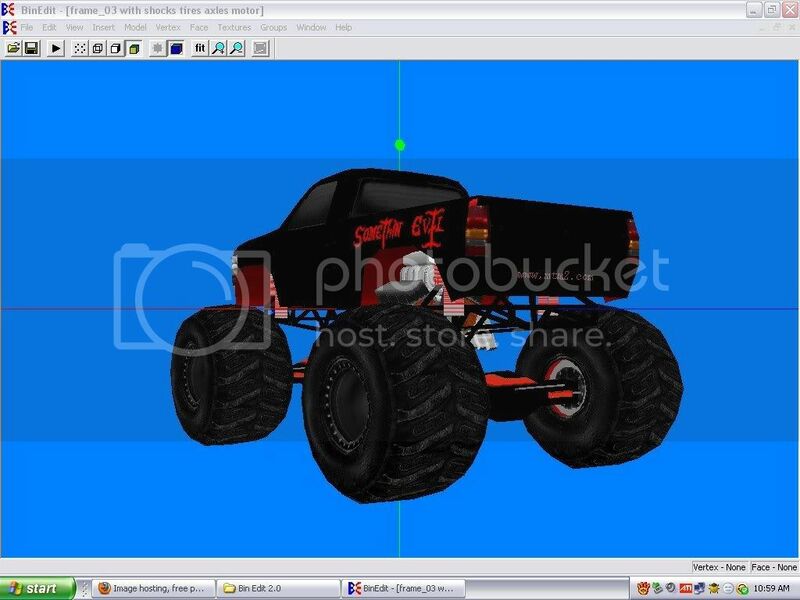 Delete the tires and axles, as you can automatically put those on the truck in the TRK editor with BINEdit. 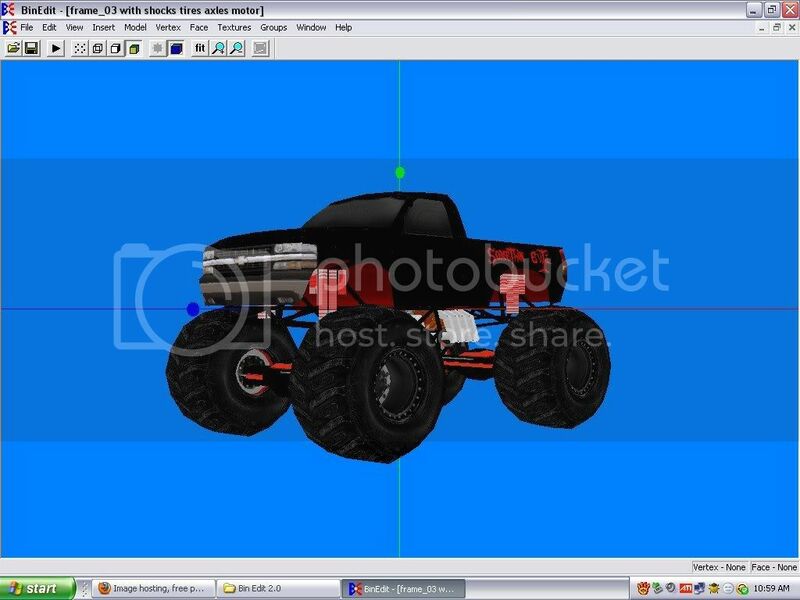 The trk editor in Binedit replaces Tracked2, it shows your truck in a 3d view and lets you change things like tire placement and body model. Basically if you start with a model like that, look at it, decide what ya wanna save, and scroll thru the faces.. "spacebar" and delete... "X" what you want to go away. Be sure to delete vertices when yer done. Save everything as seperate models. Then move it where ya want. 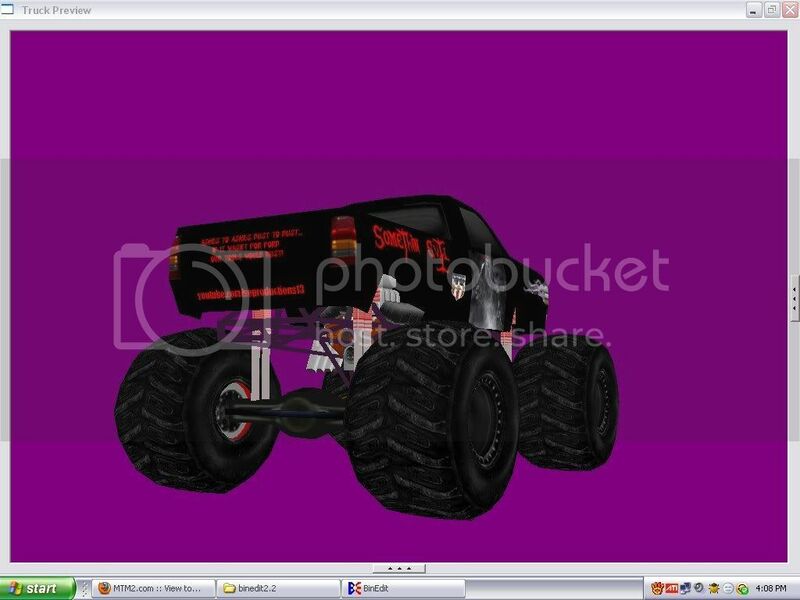 It's possible to have like 20 seperate models saved, just to make one truck. Shut yer Java off tho, you'll get pop up's from hell there, just warning ya. However whenever i go to pod it the tires and axles stay stock and i cannot figure out why idk if i am not putting something in the pod file right or at all. I also don't know really what has to go in the pod file. I have been putting all the .bin's, .raw's, .act's, and the trk file. Are those the right things or am i missing something?? However whenever i go to pod it the tires and axles stay stock and i cannot figure out why idk if i am not putting something in the pod file right or at all. Did you rename the files with something unique? I also don't know really what has to go in the pod file. I have been putting all the .bin's, .raw's, .act's, and the trk file. Are those the right things or am i missing something?? Have you road tested it in the game yet? Looks like you got it pretty good but the acid test is in game. It's pop up hell. 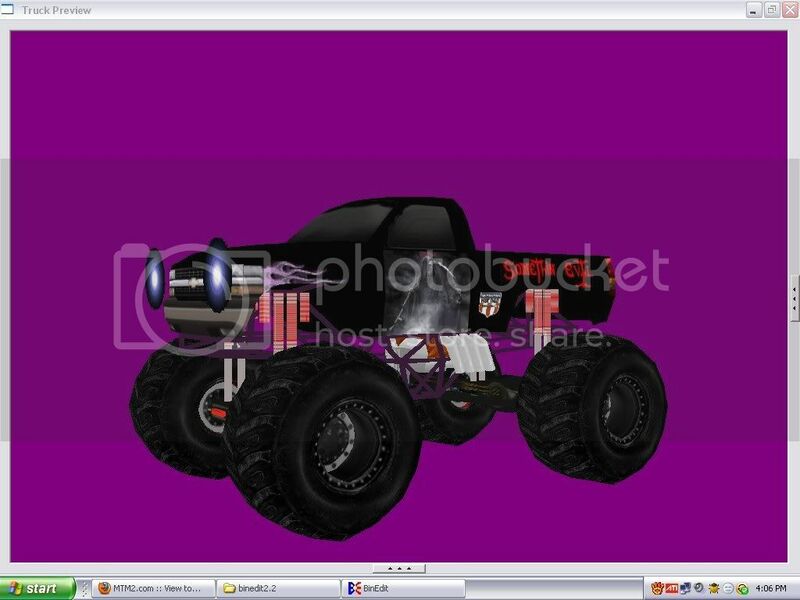 But you can get textures there for various light textures, if you wanna mess with adding lights to it, imo, a truck isnt done until it has lights. I can show ya how to adjust em, and place em, aim em, make em flash, color em, whatever you want. I know race trucks dont have lights, but if its your own personal truck, and ya wanna get into the heart of truck building, lights are cool.